With so many different hearing aid types to choose from, you might be struggling to know which one is right for you. When you speak to your audiologist, they will run through a number of the different possibilities, including in-the-ear (ITE) hearing aids. These hearing aids are designed to be suitable for everyone to use regardless of their hearing issue. Let’s look at some of the key features of this style, why you might use them and what benefits they could provide you. What are ITE hearing aids? ITE hearing aids fit in your outer ear bowl. This is remarkably different to the devices that fit behind your ear and join to a connecting part. Instead, all the tech is fitted inside an earmold. These are molds typically need to be custom made and tailored to your specific ear shape. This is because ear anatomy is completely different and it is important that the devices fit both firmly and comfortably. These devices are also tough and very durable. 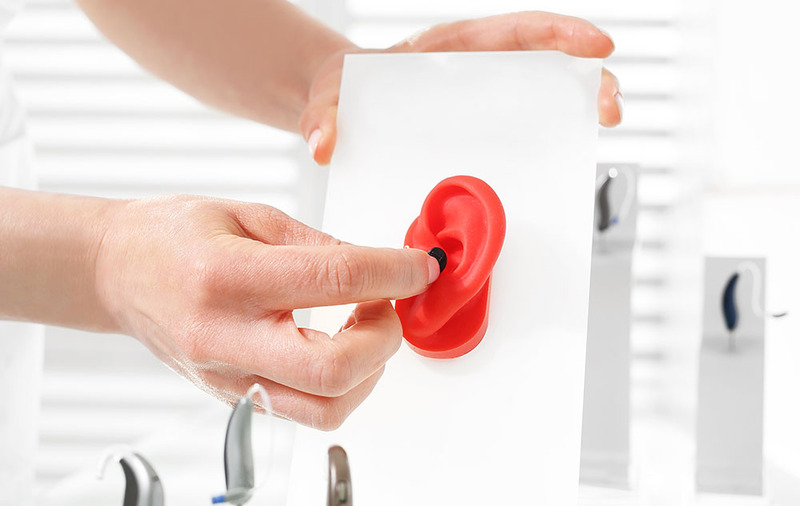 Although the mold can show signs of wear over time, the hearing aids themselves can last for years without needing a replacement. Who can use these devices? Anyone with hearing loss may benefit from using ITE hearing aids. These devices are suitable for minor-to-moderately-severe hearing loss. And because they are available in different sizes, they can be equipped with a multitude of features based on your particular wants and needs, whether you prefer multiple settings or background noise reduction. The good news is that these devices are ideal for those with an active lifestyle. As they fit inside your ear, they are less likely to fall out even if you go running or really any other activity that can be used to keep fit. You do want to make sure to remove them if you tend to sweat a lot or partake in an exercise like swimming, which could lead to water damage. ITC hearing aids may not be as discrete as the devices worn directly in the ear canal, they do come in a variety of colors, including skin-toned to help them better blend with your overall look. We hope this helps you determine whether ITE hearing aids are the right choice for your needs. With other options available, do make sure that you speak to an audiologist about all the possibilities. They can help you make the best choice for your needs.